Fred and his drilling crew. 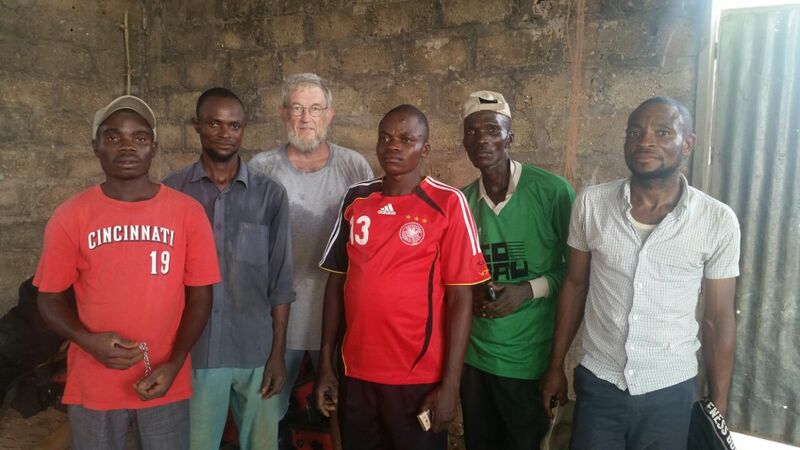 Fred has been in Congo for seven weeks now. He reports that the second hole Dale and he started went crooked and collapsed last week just like the first one. A big disappointment! 100 liters is approximately 26.5 gallons or about 5 – 7 trips to the spring or river to get water. 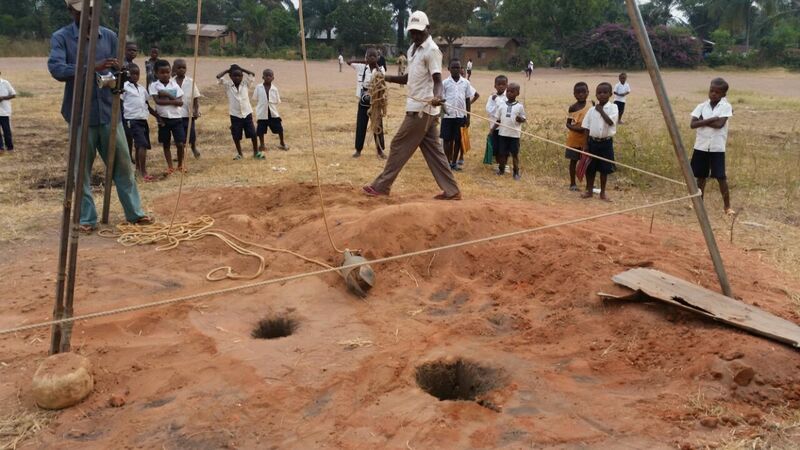 We here at Hope 4 Congo will have to rethink our method of drilling in Congo for the future. This makes five holes without water. Catching rainwater is a great idea. We’re not sure why the Congolese have not done it. It has a lot of potential. It’s easy to do and rain is plentiful in Congo. Sometimes our western way of thinking takes a lot of time and effort to catch on. Please pray that the Congolese will see the value of this system to supply their water. Also, that they may see the potential business opportunity in it as well. Fred is trying to introduce good business practices to them. Pray that they will see this as a way to provide for their families. We’ll post more information when we have it or on July 7, whichever comes first. In the meantime, please pray for Fred and his efforts to help the Congolese. Also, please follow us so you won’t miss out on any of our news and updates.